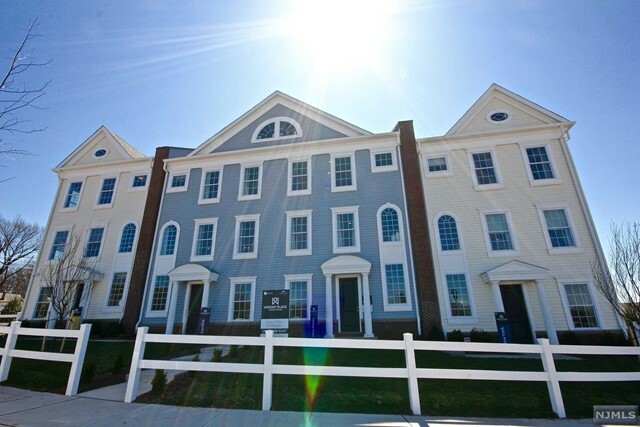 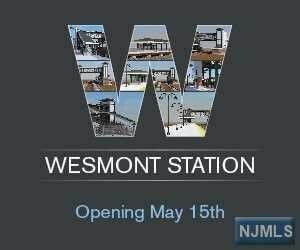 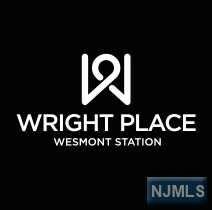 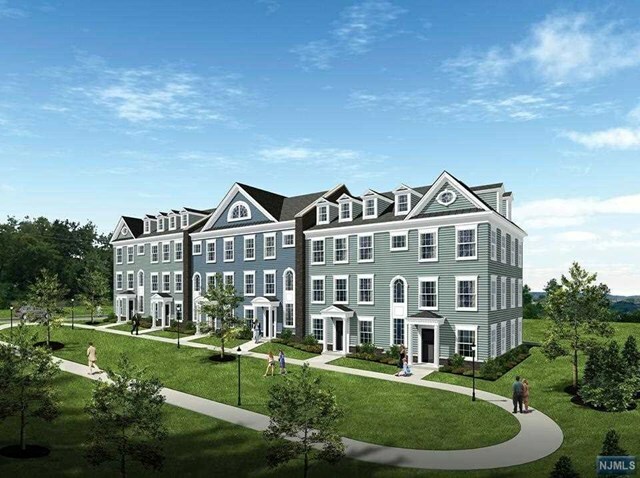 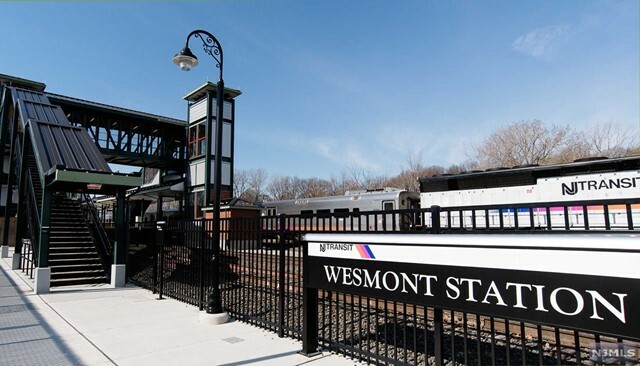 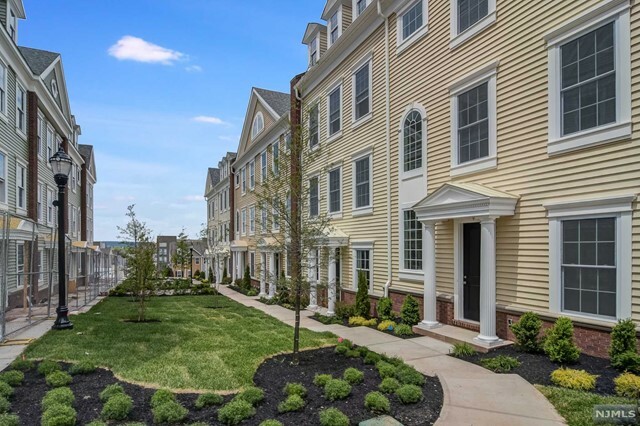 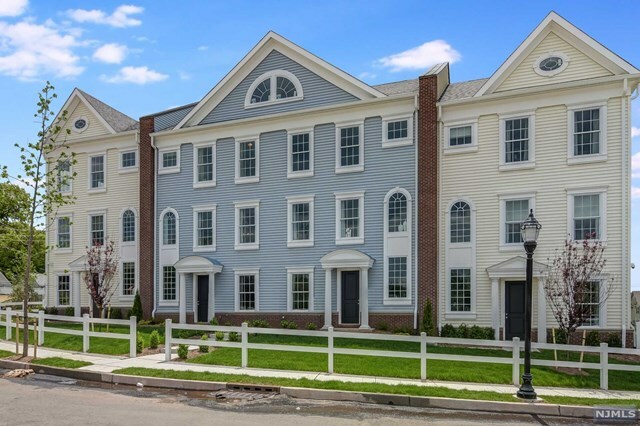 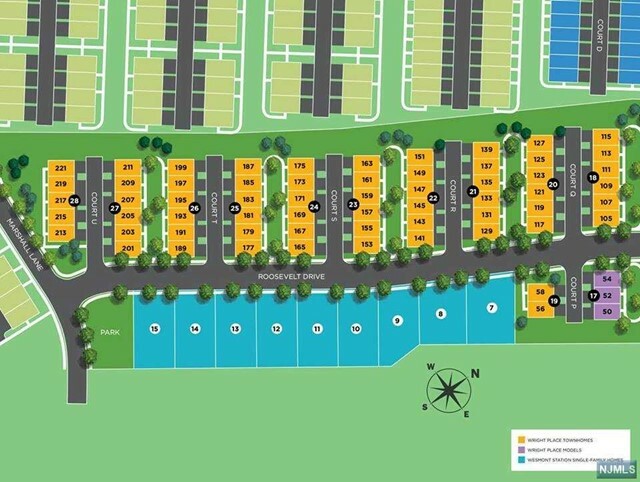 195 Roosevelt Drive, Wood Ridge, NJ 07075, U.S.A.
"Wright Place II" at Wesmont Station. 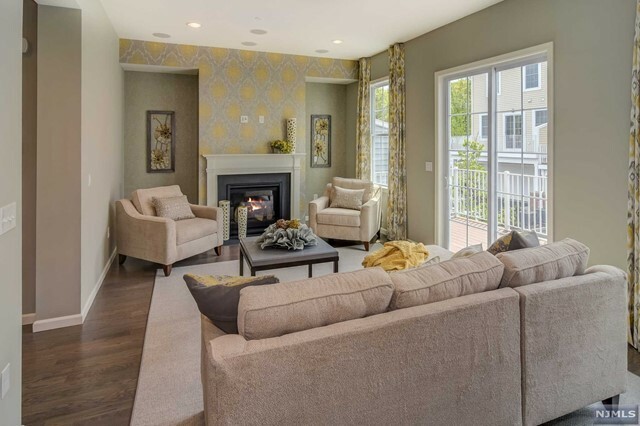 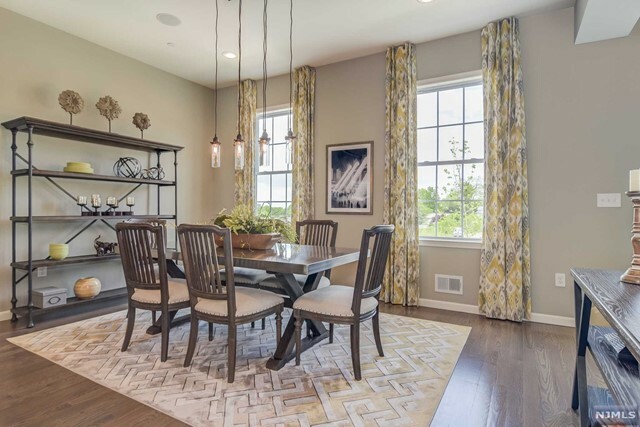 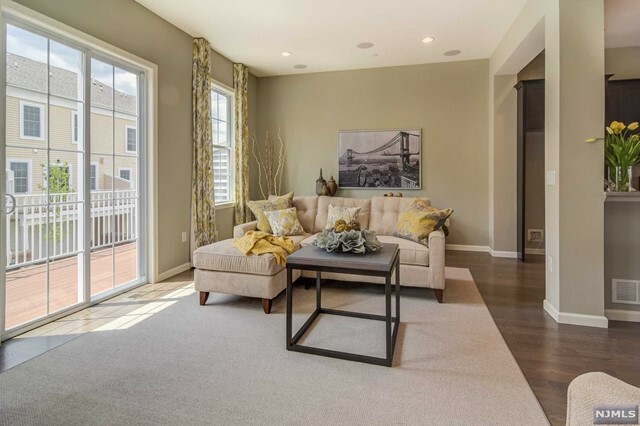 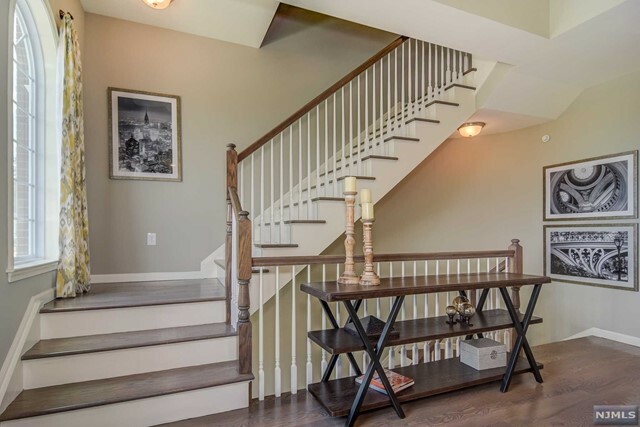 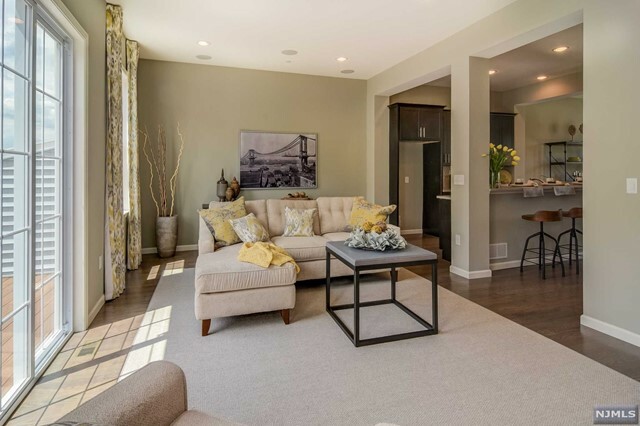 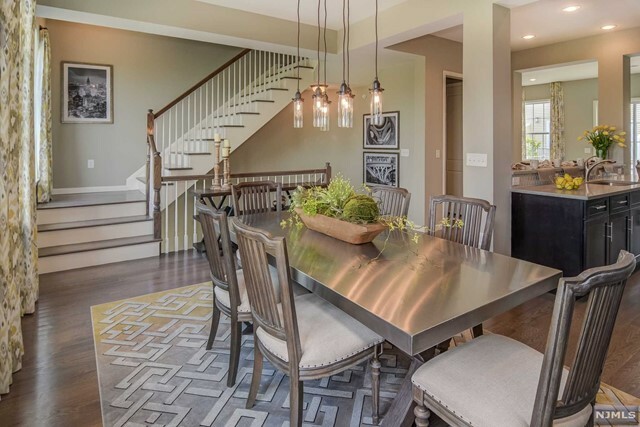 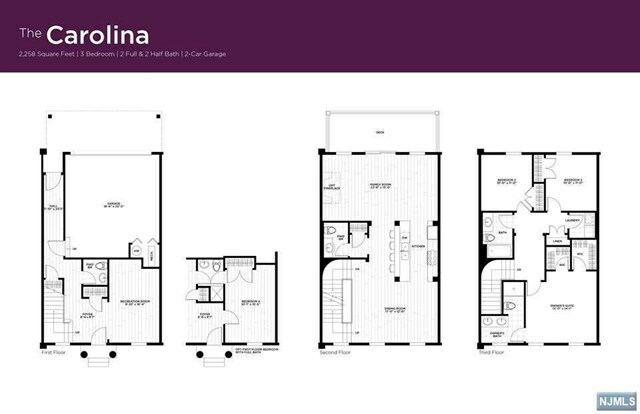 This floor plan boasts a large/bright family room running width-wise in this interior townhome, on one end of the second floor, and an exceptional dining room with first floor lookout and dramatic staircase, on the other end. 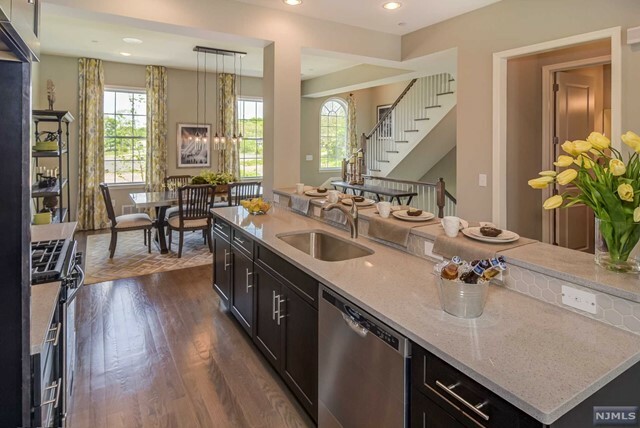 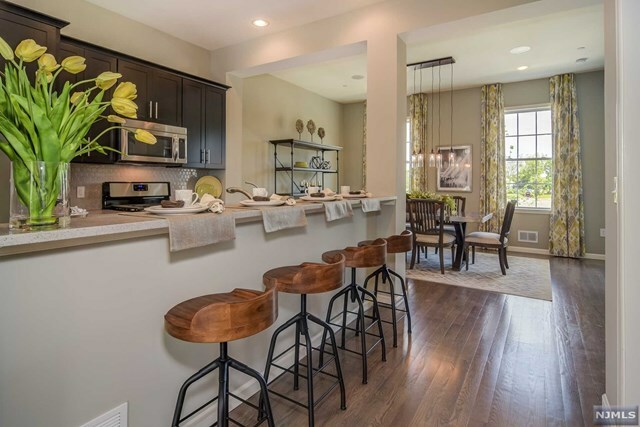 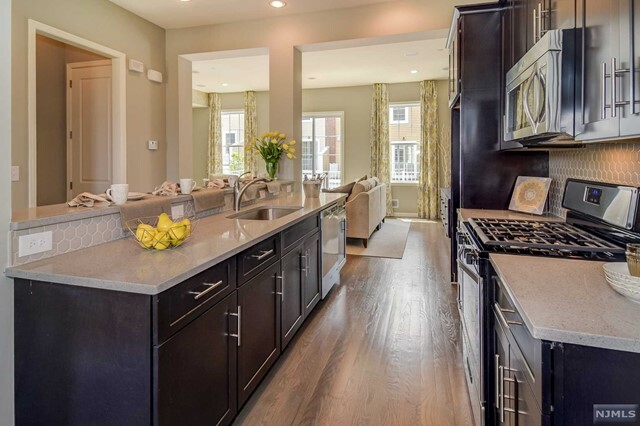 These wonderful rooms are separated by a galley style kitchen defined by four columns, accessible from both rooms and featuring a long counter with stool seating. 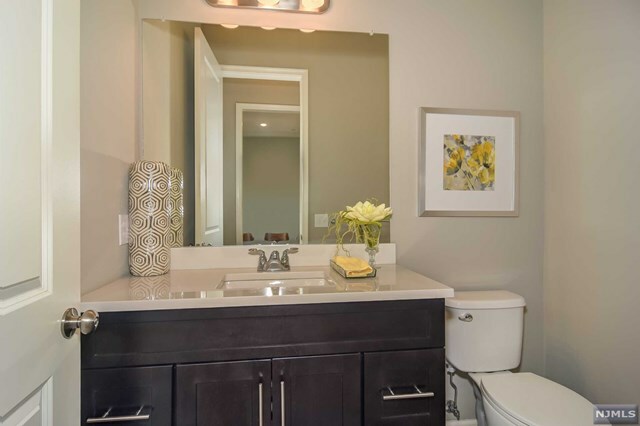 The powder room is accessible through a transition area which includes a coat closet/pantry. 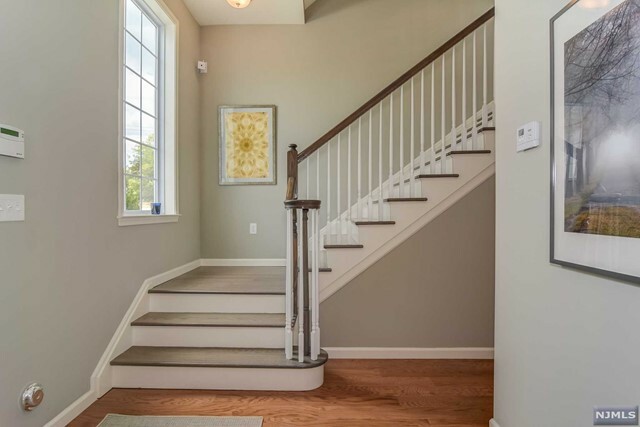 A curved wall is the gateway to the ten foot high second floor from the floating staircase. 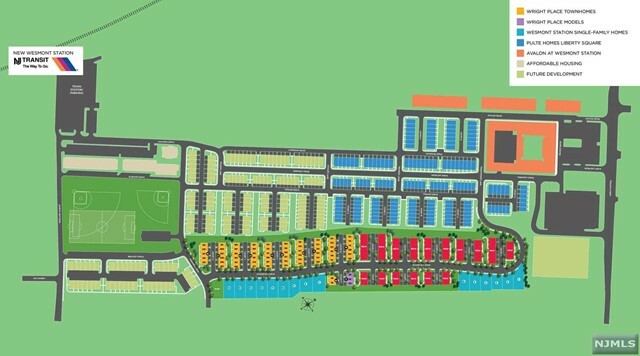 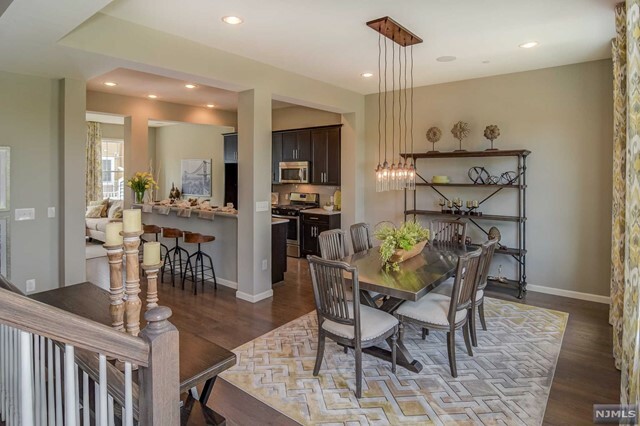 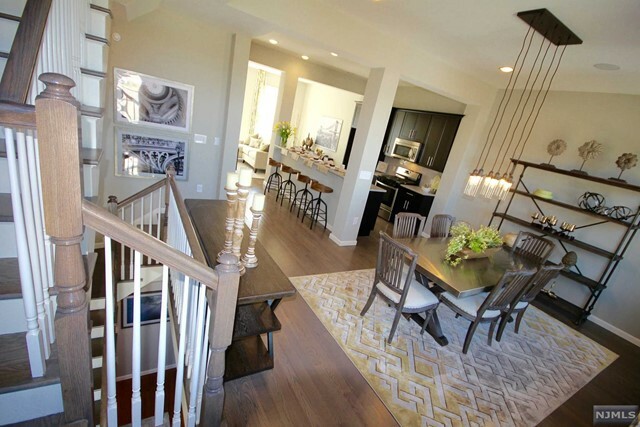 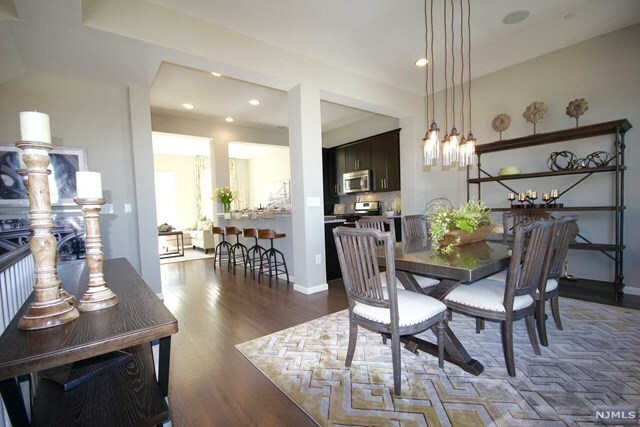 Photos show are from upgraded Model Home.